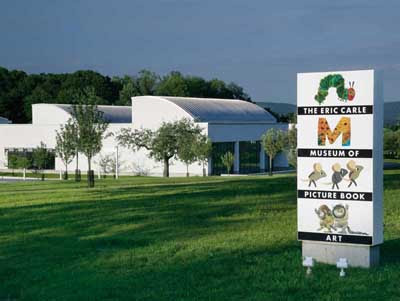 The Eric Carle Museum of Picturebook Art, founded by the creator of the Very Hungry Caterpillar books, is one of the few museums devoted to the art from children's books (there's also one in Texas). Set in the rural countryside near Amherst, Massachusetts, the sleek white building looks like a blank canvas waiting to be daubed with color. Everything about the museum invites creative exuberance. You can’t help feeling like splashing color around when you walk past a VW bug painted to look like an insect and meet the museum guides inside wearing aprons and smiles. 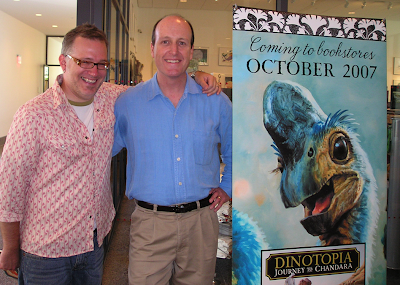 Jeanette and I arrived an hour and a half before my Dinotopia presentation on Saturday, because we wanted to spend a lot of time in the special exhibition of the art of the Spiderwick Chronicles by Tony DiTerlizzi. It was a completely unexpected delight to meet up with Tony and his wife Angela and their new daughter, who were at the museum that day. The Spiderwick Exhibition was probably the most inspiring art show I’ve seen all year. Tony is living the dream of every illustrator. 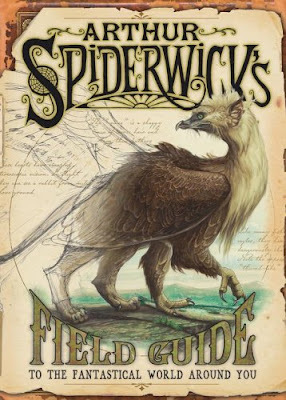 His exhibit includes dozens of original pen-and-ink drawings and Acryla-gouache paintings that he has created for Arthur Spiderwick’s Field Guide and the best-selling Spiderwick Chronicles chapter books written by collaborator Holly Black. The artwork shows fantastical trolls, sprites, house boggarts, and goblins in the spirit of Arthur Rackham, Edmund Dulac, Brian Froud, and perhaps Jean-Baptiste Monge, but Tony’s vision completely breaks new ground thanks to the faithful study he has made of nature. The exhibit also gives a rare preview of the production artwork, 3-D models, and movie props for the upcoming February 15, 2008 Spiderwick feature film release by Paramount Pictures. There are detailed creature maquettes by Tippett Studios, Robert Barnes and David Krentz, a variety of production paintings from ILM’s best, and foamcore design models that show how studio sets are conceived by the art director. It reminded Jeanette and me of the Dark Crystal exhibit around 1982 in Los Angeles, where the work of the costume artists, usually unseen by the public, got its well-deserved showcase. The Spiderwick exhibit is scheduled to end on January 27, 2008, unfortunately a few weeks before the release of the movie, and there are currently no announced plans to extend or travel the exhibit. Professional illustrators, movie production artists, and art students should make the pilgrimage. 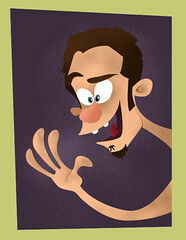 Check out the movie trailer and Tony’s blog (who beat me to the post). I love reading about the artists you meet! I read the SW books a few years ago, they were good. Not as good as Dinotoia, but still good. I just read about this in Tony's blog! I was so excited to see Dinotopia mentioned in his, and now Spiderwick in yours. I'm in fan heaven. I almost don't know what to do with myself! I also followed the link from Tony's blog. What a great blog full of wonderful information. I have a lot of back reading to do. I have followed your work for years and it just seems to get better and better. Hooray! I will be back in MA in December and that will give me a chance to see this exhibit. It sounds great! I'm a big fan of Tony's work so I can't wait. Thanks for posting about this.